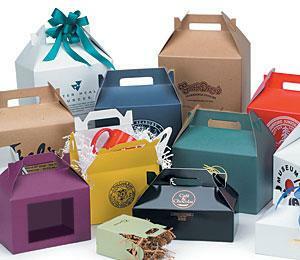 - Stock Colors: Minimums of carton pack. Ship in 3-4 buisness days. --Click For Color And Price Details-- White Gloss $0.53 ea. Natural Kraft $0.43 ea. ------------------------ Gloss Colors ------------------------ Black Gloss $0.72 ea. Ivory Gloss $0.72 ea. Red Gloss $0.72 ea. ------------------------ Matte Colors ------------------------ Black Matte $0.62 ea. Burgundy Matte $0.62 ea. Dark Green Matte $0.62 ea. Navy Matte $0.62 ea. Purple Matte $0.62 ea. ------------------------ Gingham Colors ------------------------ Blue Gingham $0.62 ea. Burgundy Gingham $0.62 ea. Green Gingham $0.62 ea. Red Gingham $0.62 ea. Blue Gingham $0.62 ea. --Click For Color And Price Details-- ------------------------ Stock Colors ------------------------ White Gloss $0.56 ea. Natural Kraft $0.47 ea. ------------------------ Gloss Colors (500 min.) ------------------------ Black Gloss (4-6 weeks) $0.75 ea. Ivory Gloss (4-6 weeks) $0.75 ea. Red Gloss (4-6 weeks) $0.75 ea. ------------------------ Matte Colors (500 min.) ------------------------ Black Matte (4-6 weeks) $0.64 ea. Burgundy Matte (4-6 weeks) $0.64 ea. Dark Green Matte (4-6 weeks) $0.64 ea. Navy Matte (4-6 weeks) $0.64 ea. Purple Matte (4-6 weeks) $0.64 ea. ------------------------ Gingham Colors (500 min.) ------------------------ Blue Gingham (4-6 weeks) $0.64 ea. Burgundy Gingham (4-6 weeks) $0.64 ea. Green Gingham (4-6 weeks) $0.64 ea. Red Gingham (4-6 weeks) $0.64 ea. Blue Gingham (4-6 weeks) $0.64 ea. --Click For Color And Price Details-- White Gloss $0.59 ea. Natural Kraft $0.49 ea. ------------------------ Gloss Colors ------------------------ Black Gloss $0.77 ea. Ivory Gloss $0.77 ea. Red Gloss $0.77 ea. ------------------------ Matte Colors ------------------------ Black Matte $0.66 ea. Burgundy Matte $0.66 ea. Dark Green Matte $0.66 ea. Navy Matte $0.66 ea. Purple Matte $0.66 ea. ------------------------ Gingham Colors (4-5 Weeks) ------------------------ Blue Gingham $0.66 ea. Burgundy Gingham $0.66 ea. Green Gingham $0.66 ea. Red Gingham $0.66 ea. Blue Gingham $0.66 ea. --Click For Color And Price Details-- ------------------------ Stock Colors ------------------------ White Gloss $0.64 ea. Natural Kraft $0.61 ea. ------------------------ Gloss Colors (500 min.) ------------------------ Black Gloss (4-6 weeks) $0.82 ea. Ivory Gloss (4-6 weeks) $0.82 ea. Red Gloss (4-6 weeks) $0.82 ea. ------------------------ Matte Colors (500 min.) ------------------------ Black Matte (4-6 weeks) $0.72 ea. Burgundy Matte (4-6 weeks) $0.72 ea. Dark Green Matte (4-6 weeks) $0.72 ea. Navy Matte (4-6 weeks) $0.72 ea. Purple Matte (4-6 weeks) $0.72 ea. ------------------------ Gingham Colors (500 min.) ------------------------ Blue Gingham (4-6 weeks) $0.72 ea. Burgundy Gingham (4-6 weeks) $0.72 ea. Green Gingham (4-6 weeks) $0.72 ea. Red Gingham (4-6 weeks) $0.72 ea. Blue Gingham (4-6 weeks) $0.72 ea. --Click For Color And Price Details-- White Gloss $0.72 ea. Natural Kraft $0.61 ea. ------------------------ Gloss Colors ------------------------ Black Gloss $0.95 ea. Ivory Gloss $0.95 ea. Red Gloss $0.95 ea. ------------------------ Matte Colors ------------------------ Black Matte $0.84 ea. Burgundy Matte $0.84 ea. Dark Green Matte $0.84 ea. Navy Matte $0.84 ea. Purple Matte $0.84 ea. ------------------------ Gingham Colors (4-5 Weeks) ------------------------ Blue Gingham $0.84 ea. Burgundy Gingham $0.84 ea. Green Gingham $0.84 ea. Red Gingham $0.84 ea. Blue Gingham $0.84 ea. --Click For Color And Price Details-- ------------------------ Stock Colors ------------------------ White Gloss $1.27 ea. Natural Kraft $1.24 ea. ------------------------ Gloss Colors (500 min.) ------------------------ Black Gloss (4-6 weeks) $1.68 ea. Ivory Gloss (4-6 weeks) $1.68 ea. Red Gloss (4-6 weeks) $1.68 ea. ------------------------ Matte Colors (500 min.) ------------------------ Black Matte (4-6 weeks) $1.60 ea. Burgundy Matte (4-6 weeks) $1.60 ea. Dark Green Matte (4-6 weeks) $1.60 ea. Navy Matte (4-6 weeks) $1.60 ea. Purple Matte (4-6 weeks) $1.60 ea. ------------------------ Gingham Colors (500 min.) ------------------------ Blue Gingham (4-6 weeks) $1.60 ea. Burgundy Gingham (4-6 weeks) $1.60 ea. Green Gingham (4-6 weeks) $1.60 ea. Red Gingham (4-6 weeks) $1.60 ea. Blue Gingham (4-6 weeks) $1.60 ea. --Click For Color And Price Details-- ------------------------ Stock Colors ------------------------ White Gloss $0.59 ea. Natural Kraft $0.47 ea. ------------------------ Gloss Colors (500 min.) ------------------------ Black Gloss (4-6 weeks) $0.87 ea. Ivory Gloss (4-6 weeks) $0.87 ea. Red Gloss (4-6 weeks) $0.87 ea. ------------------------ Matte Colors (500 min.) ------------------------ Black Matte (4-6 weeks) $0.82 ea. Burgundy Matte (4-6 weeks) $0.82 ea. Dark Green Matte (4-6 weeks) $0.82 ea. Navy Matte (4-6 weeks) $0.82 ea. Purple Matte (4-6 weeks) $0.82 ea. ------------------------ Gingham Colors (500 min.) ------------------------ Blue Gingham (4-6 weeks) $0.82 ea. Burgundy Gingham (4-6 weeks) $0.82 ea. Green Gingham (4-6 weeks) $0.82 ea. Red Gingham (4-6 weeks) $0.82 ea. Blue Gingham (4-6 weeks) $0.82 ea. --Click For Color And Price Details-- ------------------------ Stock Colors ------------------------ White Gloss $1.37 ea. Natural Kraft $1.32 ea. ------------------------ Gloss Colors (500 min.) ------------------------ Black Gloss (4-6 weeks) $1.84 ea. Ivory Gloss (4-6 weeks) $1.84 ea. Red Gloss (4-6 weeks) $1.84 ea. ------------------------ Matte Colors (500 min.) ------------------------ Black Matte (4-6 weeks) $1.78 ea. Burgundy Matte (4-6 weeks) $1.78 ea. Dark Green Matte (4-6 weeks) $1.78 ea. Navy Matte (4-6 weeks) $1.78 ea. Purple Matte (4-6 weeks) $1.78 ea. ------------------------ Gingham Colors (500 min.) ------------------------ Blue Gingham (4-6 weeks) $1.78 ea. Burgundy Gingham (4-6 weeks) $1.78 ea. Green Gingham (4-6 weeks) $1.78 ea. Red Gingham (4-6 weeks) $1.78 ea. Blue Gingham (4-6 weeks) $1.78 ea.